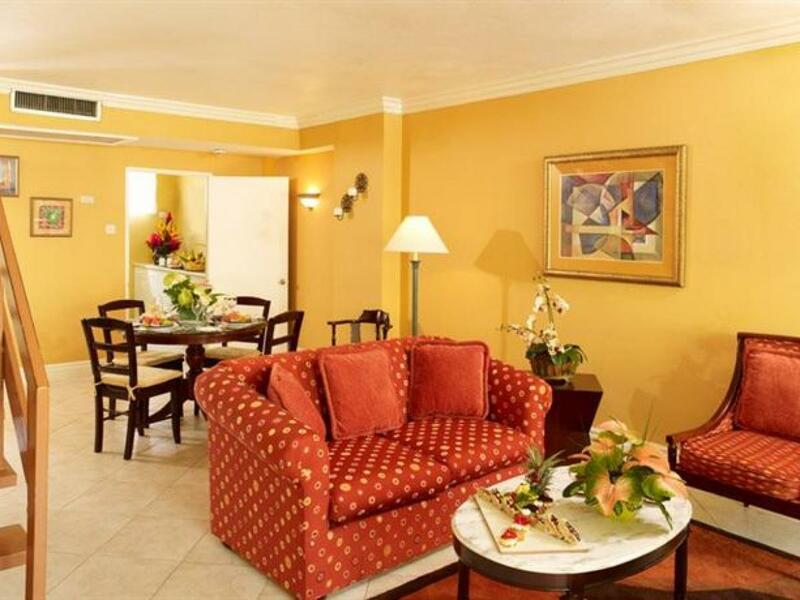 The perfect location whether you are traveling for business or leisure. 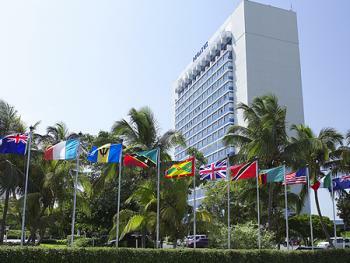 Situated in the financial and business district of the Capital city, Kingston. 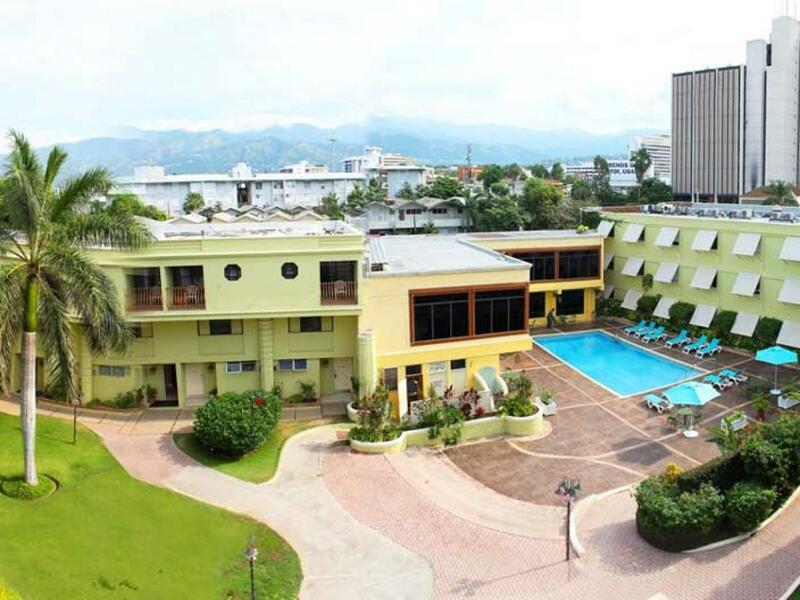 It is within walking distance from many multi-national and regional offices and embassies as well as recreational parks, historical sites, cultural centres, shopping areas and restaurants. 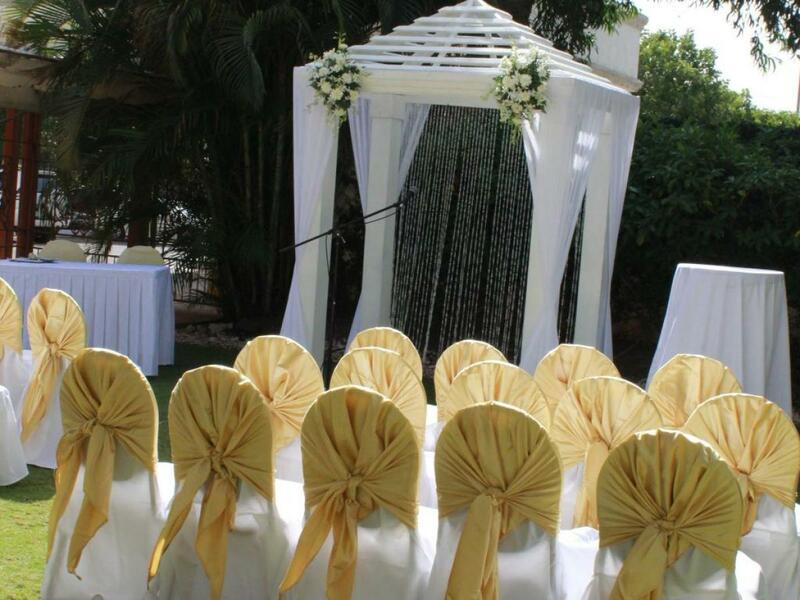 The welcoming ambiance of the property has made it the venue of choice for several discerning couples. This fabulous facility is breathtaking as patrons descend the curving staircase set amidst a lush tropical garden, showcasing a magnificent waterfall and rock garden feature just before entering the main pre-function area. Overhead, the translucent arbour roofing allows natural light to fall on the flowering vines trailing through the over scale wrought iron lattice. 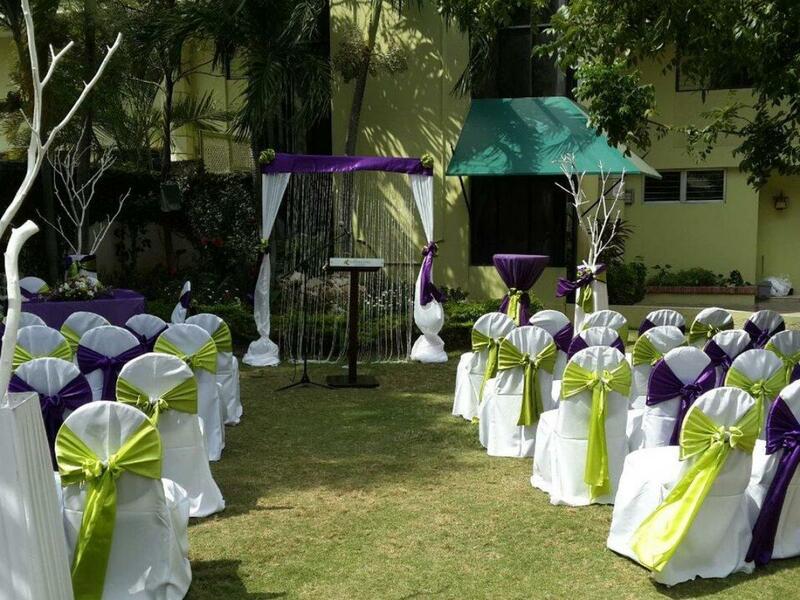 Weddings in Kingston Jamaica at The Knutsford Court Hotel are a Dream Come True! On entering the spacious pre-function area, which spans the length of the banquet rooms, the warm relaxing tones on the wall present a unique relaxing ambiance perfect for a lavish cocktail reception. The pre-function area also features large hand-stained cedar framed glass windows looking out to the waterfall and rock garden feature. This theme is carried to the banquet rooms, whose main entrance feature the same hand-stained effect, with patterned bronze glass for privacy yet giving a feel of the outdoors allowing natural light to peak in. 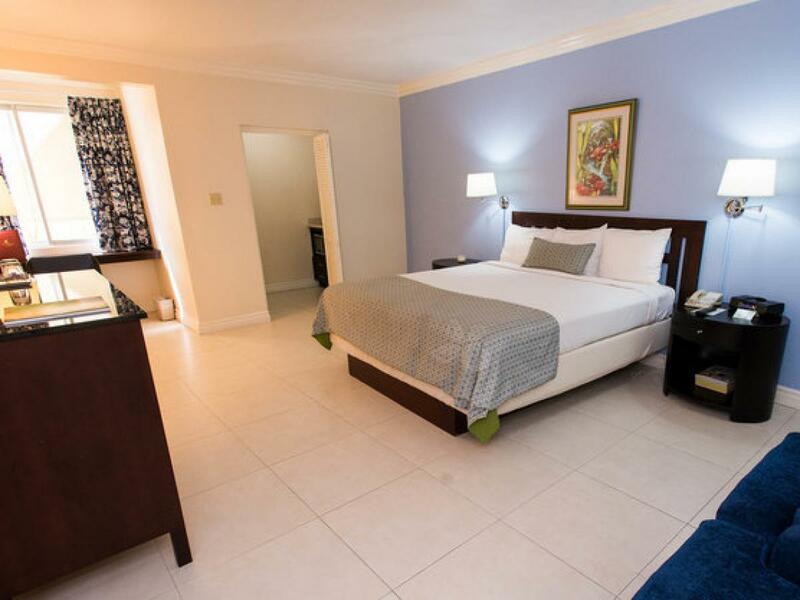 The Grand Caribbean Suite offers accommodation for up to 150 and is moderately decorated with plush carpeting and individually controlled down lights to set the ambiance. 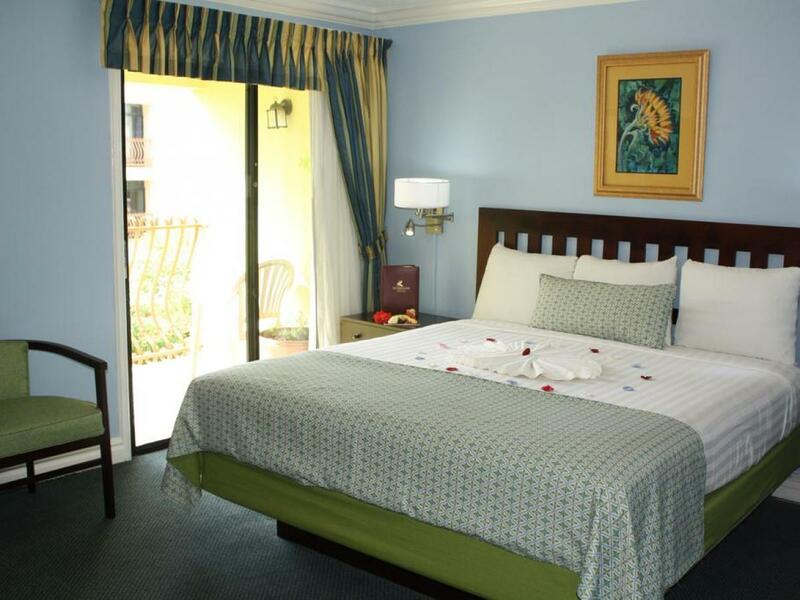 The Windward and Leeward Suites compliment each other and accommodate up to 60 persons. 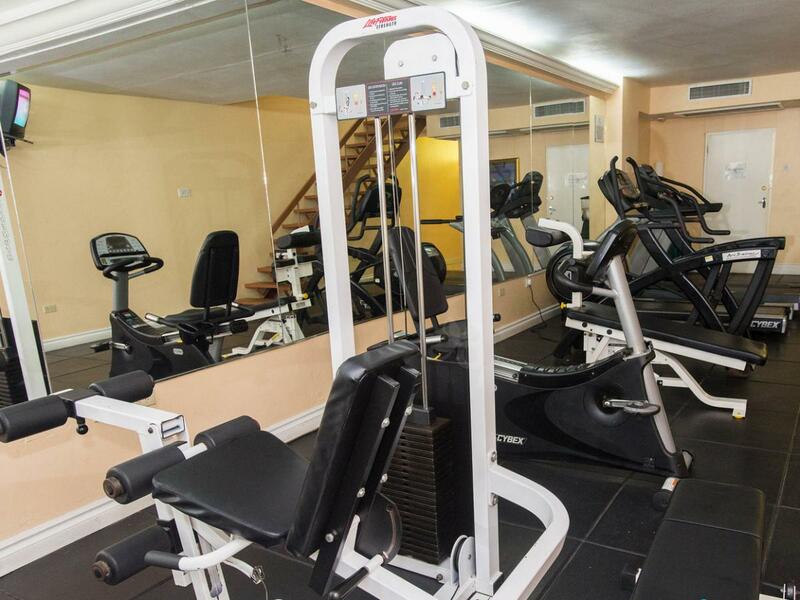 The facility also offers two smaller rooms, one hosting up to 30 persons and the second more intimate room hosting 12 persons. 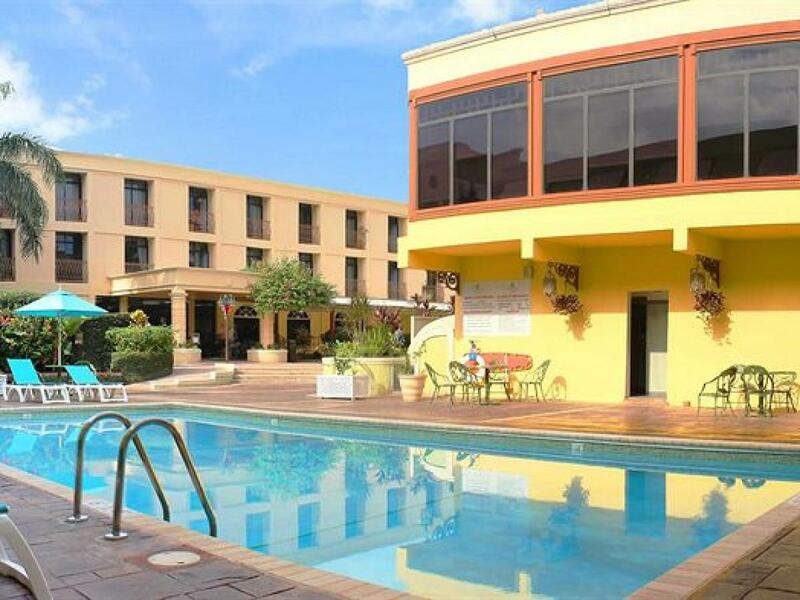 But it is the upstairs, The Blue Mountain Suite that is the toast of the banquet rooms with its signature windows that allow a picturesque view of the lush garden courtyard. 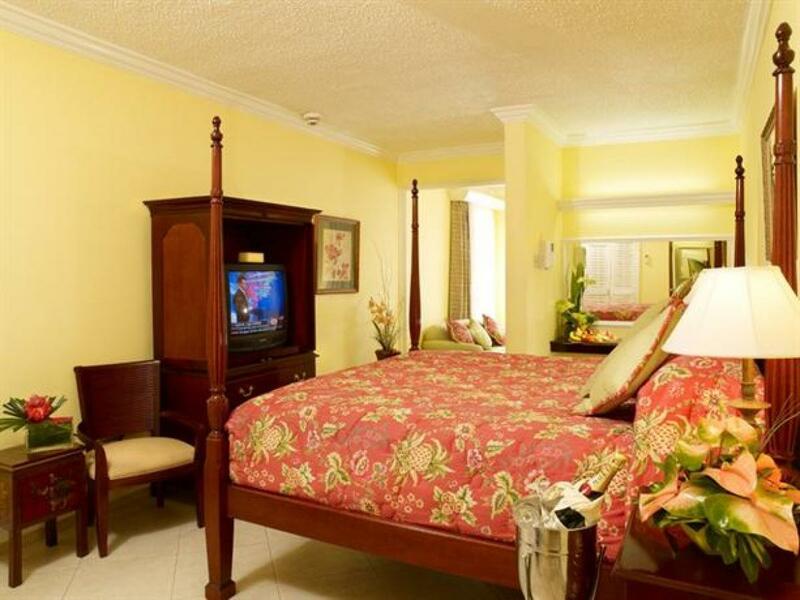 Hosting up to 250 persons, this suite is just right for that special occasion. For recreation, within minutes is the Emancipation Park with jogging trails, Putt “n” Play for miniature golf or Constant Spring Golf Club. 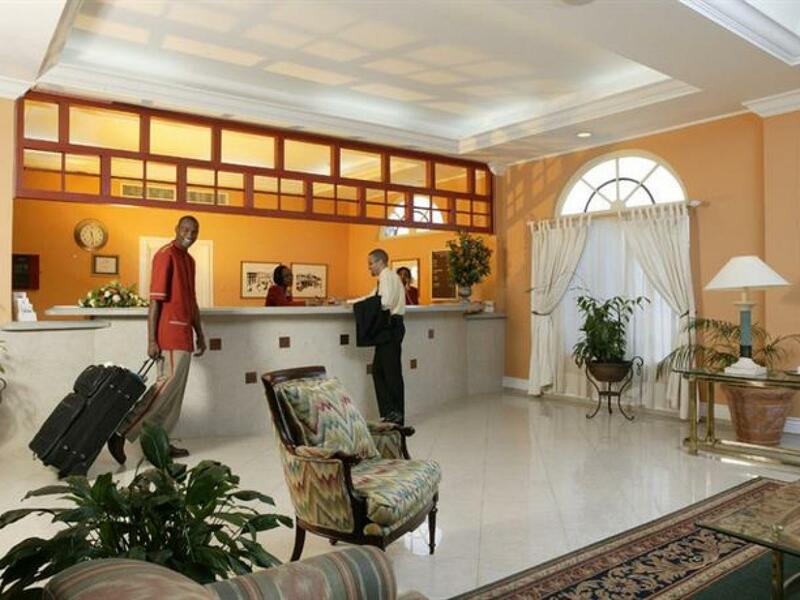 Site seeing at The Bob Marley Museum, Devon House or The Caribbean Sculpture Park are all within a 10-minute drive. The famous Blue Mountains are a 45-minute excursion where you can enjoy the famous Blue Mountain Coffee on a plantation tour. White sand beach access is a 25-minute ride coupled with a short boat trip to the popular Lime Cay. 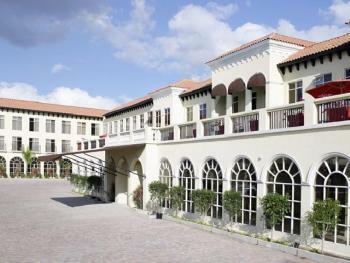 Horse racing is a mere 30 minutes away at Caymanas Park, Cricket at the famous Sabina Park. The National Stadium for Track and Field, Football, Swimming and Netball just 10 minutes. 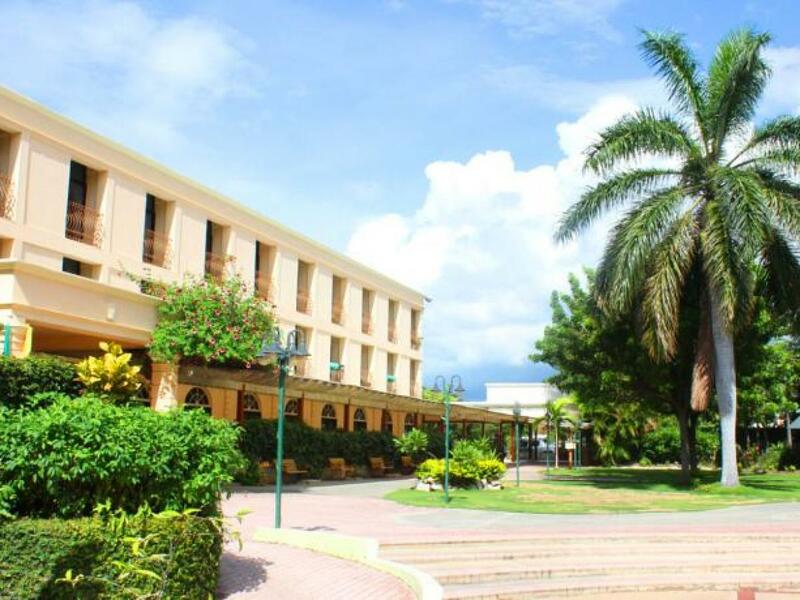 The University of the West Indies and The University of Technology are 15 minutes away. 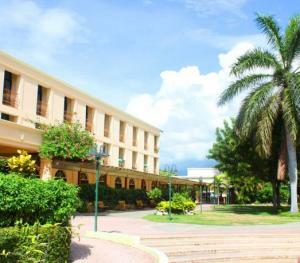 Downtown Kingston (the old city) is where you will find other International offices and the seat of Government in Gordon House. The old pirates hideaway of Port Royal is just 35 minutes away while the north coast tourist towns of Ocho Rios and Port Antonio are 1 ½ hours away to the north and east respectively. 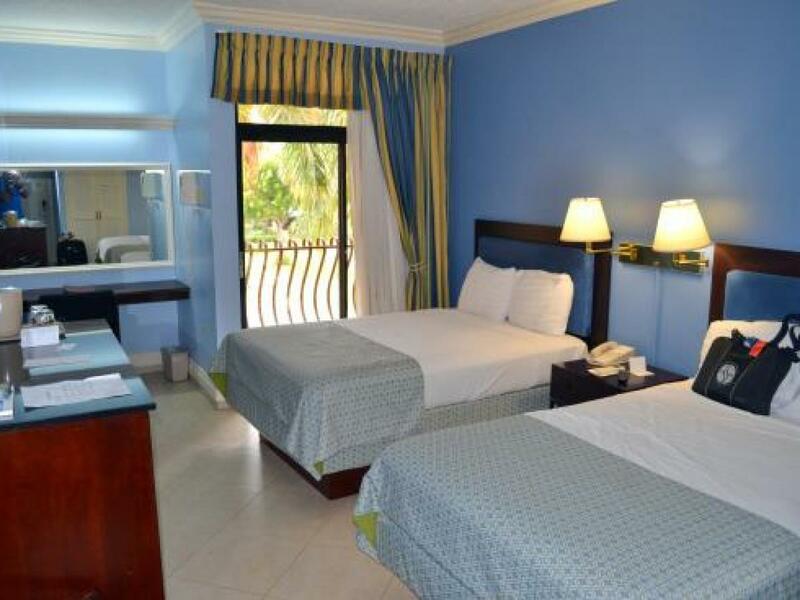 Access to the hotel is easy and taxi, rental car and tour services are available. 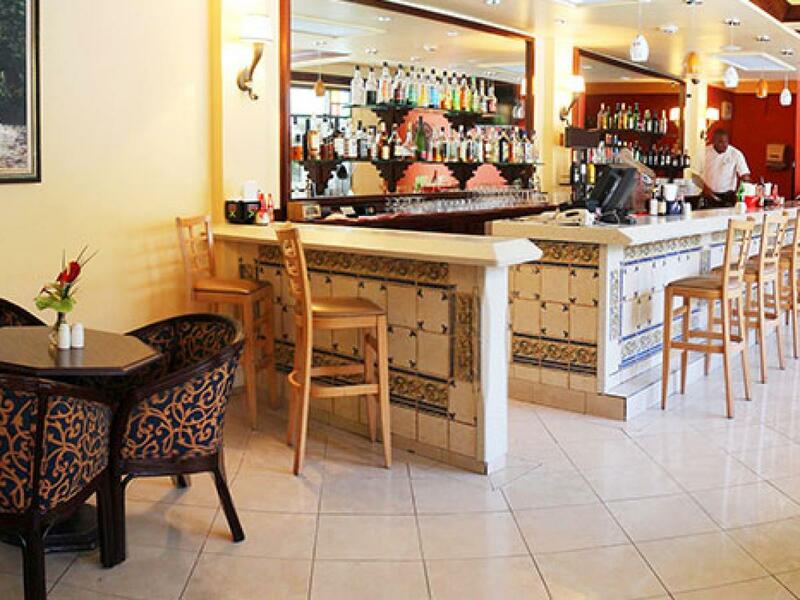 The Knutsford Court Hotel offers a wide range of delicious dining choices, blended together with an unrivaled oasis-like ambiance, sure to please even the most discerning palate. 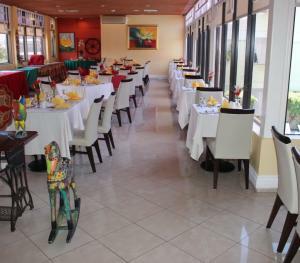 We boast local, Caribbean and International cuisines that lasso your appetite; you will savour a world of dining pleasures. 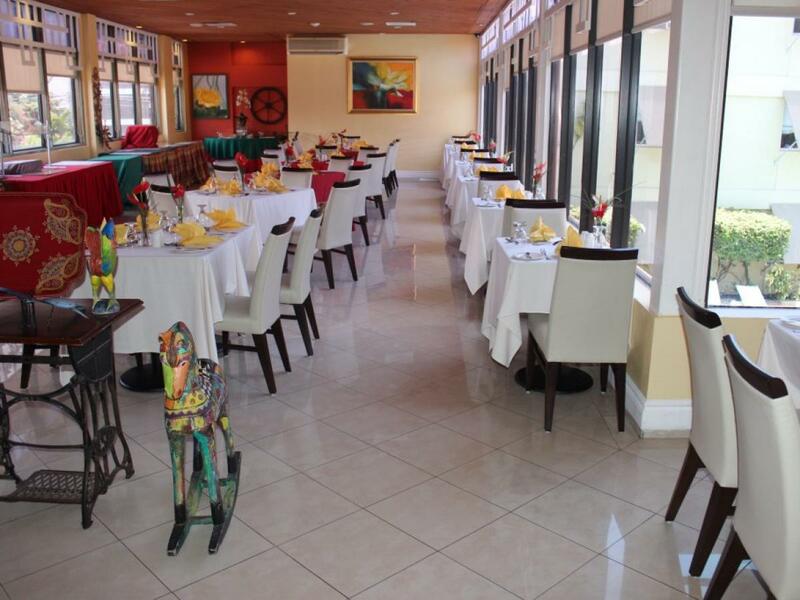 Delve into the finest dishes, as we combine The Knutsford Court flair with the flavours of the tropics, blended with the natural charm of Jamaica Hospitality. The Melting Pot Restaurant & Lounge The décor and view is breathtaking through its glass exterior window giving you a feeling of being out under the stars. The hand stained articulated wooden ceiling adds contrast to the glazed warm yellow walls. While multi-cultural artifacts and antiquities dot the glazed yellow walls, marbleized tables and comfy chairs, blend the past with present. Cozy banquette seating invites patrons to relax and unwind in the alcoves. Downstairs in the bar lounge you can enjoy tropical delights adjacent to the poolside with its own unique décor. An eclectic blend of contemporary and traditional furnishings with stained glassed windows set in ink stained, ultra-contemporary stainless steel pendant lighting, glazed mahogany stain walls and ceiling, polished porcelain floor tiles and hand-painted Spanish style tiles to the bar in rich cobalt blue, amber and sage, make this lounge memorable. 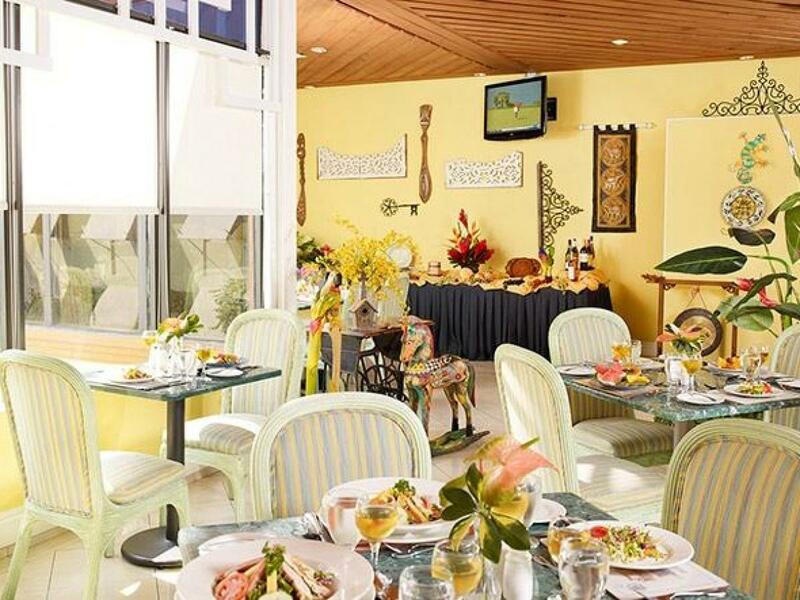 The food offered is just as memorable and patrons can savoir traditional favorites such as our Melting Pot House Salad or try some Jamaican favorites. 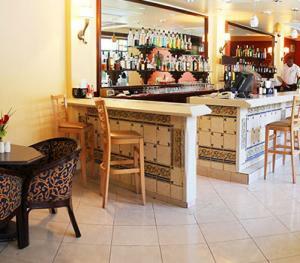 On the menu you will also find a delightful variety of local and international flavors. When it's time to unwind, you may want to visit one of Kingston 's most renowned nightspots, the Melting Pot Bar, located on The Knutsford Court. The renowned Melting Pot Bar is a favourite for both locals and visitors, just ask any Kingstonian in the know.